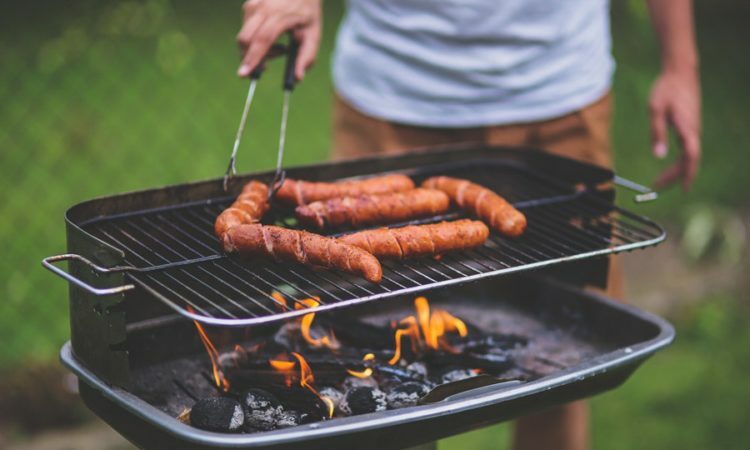 The start of summer is usually signaled by a signature smell of barbecues. The inviting smell of meat and vegetables on the grill, cooking for friends and family in the outdoors, plenty of laughter and squeals, is a tradition that we uphold in celebration of the season. 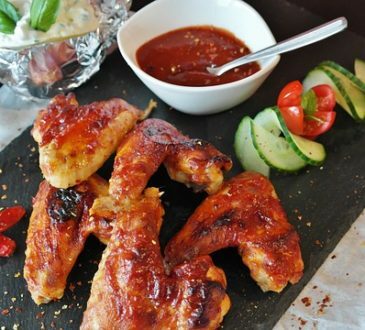 It is also a great opportunity to get everybody together as you display your skills in grilling sumptuous meats while controlling air flows and flare ups, as you savor the assortment of smoky grills. And we do love to see our friends and family enjoy our grilled food. Just as we carefully select the dishes to prepare, we are also careful about the charcoal we use. Or are we? The charcoal we use for our grills not only flavors the food, but it also determines the final taste, as we use it to grill the perfect juicy meats, chicken and vegetables. Different charcoals impart different tastes into your foods. So, we can call it an ingredient, one that needs to complement our grilled foods. Let us consider the different types of charcoal used in grilling. Hardwood Char: which do not contain the resins present in soft woods. Anthracite Coal: A High BTU anthracite coal that produces a smokeless, odorless, consistent burn. Lime: Which facilitates the evenness of the burn, and ensures a clean, white ash as the charcoal burns. Food Starch: That acts as a binder in the process of making charcoal briquettes. Sodium Nitrate: A very small amount that necessary to facilitate lighting the briquette. Charcoal briquettes burn longer than natural charcoal, have no odor, and so will not add any flavor to your food. This is a version of charcoal briquettes that are presoaked in kerosene- like lighter fluid chemicals, making the charcoal ignite easier without having to add lighter fluid or other fire starters. 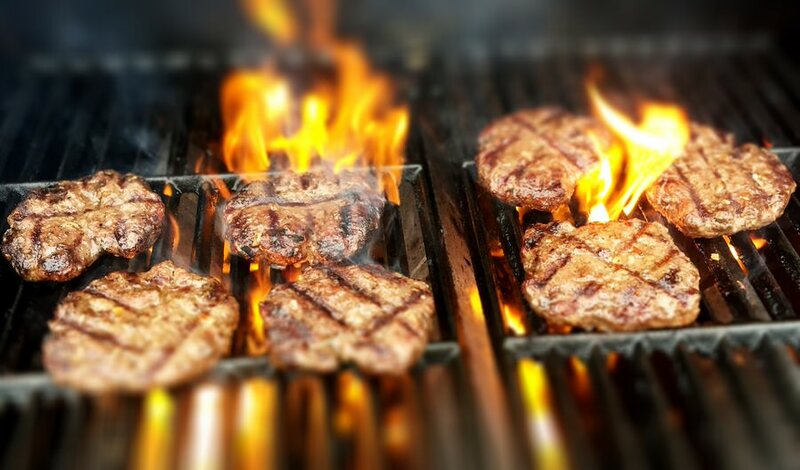 With the lighter fluid chemicals, match light charcoal will transfer a scent and flavor your food. These are charcoal briquettes that have flakes of smoking wood glued to them, usually mesquite or hickory. As briquette do not have their own scent, these wood shavings add the flavored or smoky smells to your grilled food. These are chunks of dense pure hardwood, which are burned slowly in a low oxygen environment with high temperatures, over a period of time. When they have been charred through this exposure to extreme temperatures until all natural chemicals, sap and moisture is gone, what is left behind is a residue of pure carbon or char that responds well to oxygen when burning. Natural with no chemicals or other additives, they burn hotter that briquettes, and give food a natural smoky flavor. So why would you choose to use lump charcoal over briquettes? Despite the obvious variety available with charcoal briquettes, we look at the benefits of using lump charcoal. 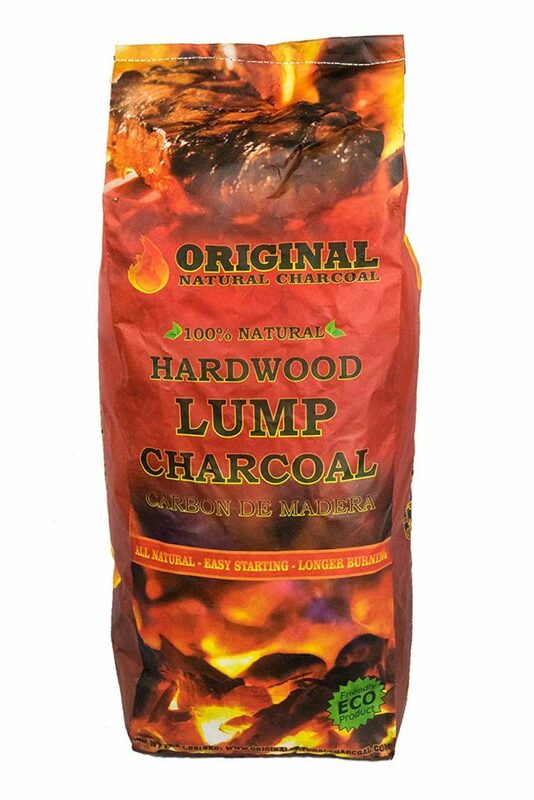 Lump charcoal is made from real, natural, unadulterated and renewable hardwoods. Your grilled foods will have a natural smoky taste and flavor, and not an acrid taste. Lump charcoal has no additives or chemicals, so they do not give your barbecued foods an unpleasant, unsafe smell or taste. The fire from natural wood charcoal lights faster than briquettes, getting to cooking temperature in as little as 5 to 10 minutes. This is because natural wood charcoal does not contain binders or additives. Natural wood charcoal burns very hot, with temperatures reaching between 800- 1000oF. That means efficient heat for your variety of barbecues. Lump charcoal produces considerably less ash when burning. This gives more room for your fire to do its work of grilling, and cleaning up your grill or chimney is a breeze. 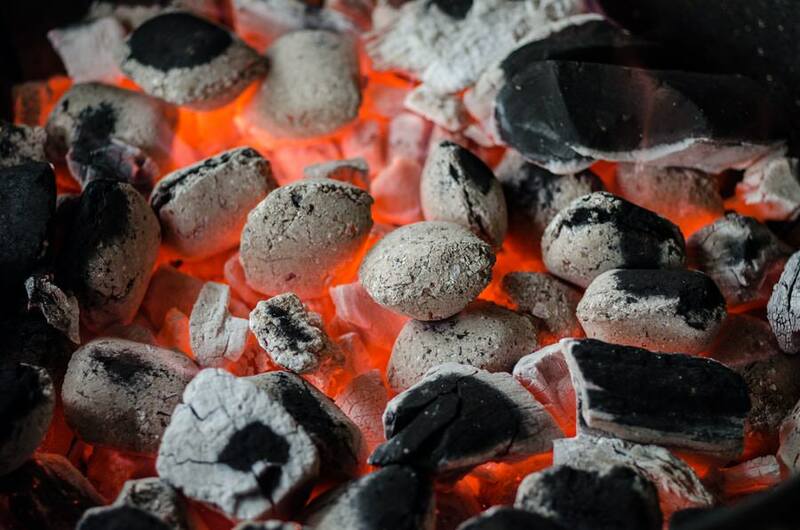 Because natural lump coal produces twice the amount of heat as the same amount of charcoal briquettes, it saves you time in cooking, and money in purchasing. 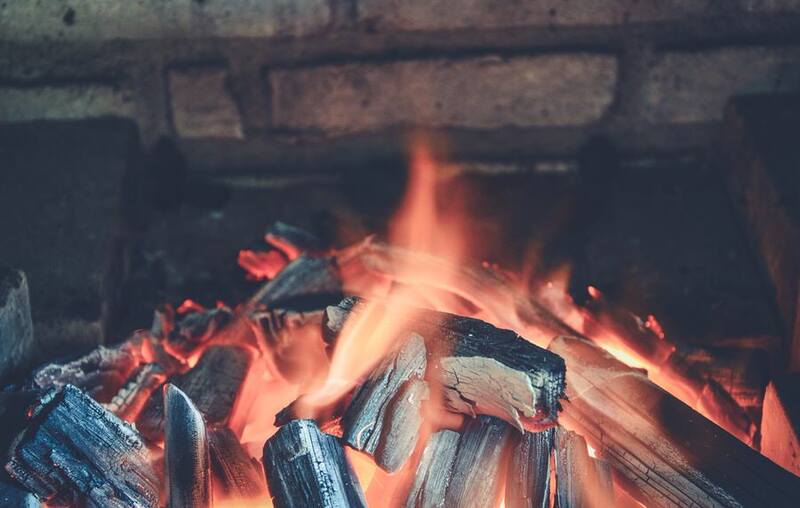 Now that we have identified that the best option for your barbecue is using hardwood lump charcoal because it is natural and safe, we’ll consider some tips on how to select the best lump charcoal for grilling. Although most lump charcoal is made with natural ingredients, it is good to know the specifics. It should be 100% organic and natural hardwood, and preferably sustainably harvested and produced- and these will be marked clearly on the label. We do want to be good ambassadors of our environment, after all. Some of the wood used in lump charcoal include cherry, mesquite, apple, oak, hickory, which produce a natural smoky scent with no distinct flavor that are found from additives or chemicals. Naturally, you will light your charcoal before you grill your foods, so you will want lump charcoal that lights up easily. Some can light easily without the use of gas or lighter fluid and can be as fast as 5 minutes. You do not want to spend the better part of your barbecue just lighting the fire, do you? Ash will be a natural byproduct of burning lump charcoal. For ease of cleaning, choose the lump charcoal that produces the least ash features. This is especially possible with dense hardwood charcoal that does not break down into ashes during burning. Smoke will affect the strength of flavor that the lump charcoal will impact on your food, and this is dependent on the type of wood it is made from. Sometimes the more smoke produced from burning the charcoal, the tastier the food becomes. This is of course, a matter of preference. Each bag of lump charcoal will contain various sizes of chunks, depending on the type of wood the charcoal was sourced from. Larger pieces burn hotter and longer, smaller pieces will not burn as hot or as long. So for your barbecue, look for a brand that is a mix of larger and medium sized chunks. Look out for bags that have more chips and dust that chunks- you don’t want to buy a whole bag of fire starters. Lump charcoal is generally more expensive than briquettes. However, because they are denser and burn longer, they last longer. Look out for lump charcoal that provide value for money, based on the weight. Once you have identified and purchased your favorite lump charcoal, let us describe the proper way of lighting it up for your grill. Line up the fire sticks or oil-soaked cardboard at the bottom of the grill. Place the lump charcoal over the pile. Light the fire sticks with a matchstick, and allow the fire to spread to the charcoal pieces. Place a few sheets of crumpled newspaper at the bottom of your equipment. Add the amount of charcoal you require, and light up the chimney. When lit after about 15 to 20 minutes, you can transfer the lit charcoal to your grill. Place large size chunks of charcoal at the bottom, and build a pyramid with the smaller chunks stacked on top. Place the fire starter in the hollow space, and light it. The pyramid shape makes starting the fire easier and quicker. With so many charcoal brands available in the market, I share my top 7 favorite lump charcoal for grilling. 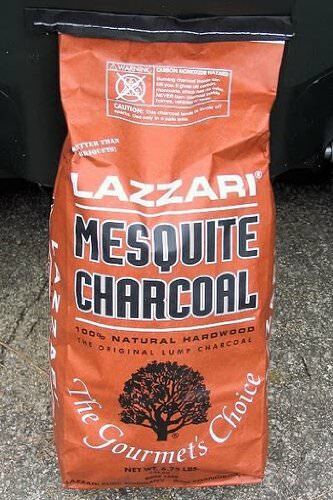 This mesquite brand of lump charcoal is a product of the largest and oldest charcoal maker in the US, Lazzari. 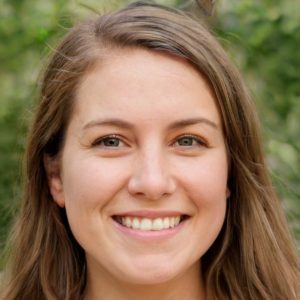 The lump charcoal is produced in an ecologically sustainable method of harvesting wood, by pruning and selectively thinning live mesquite trees, or harvesting dead trees in the Sonora, Mexico region. 100% Natural Lazzari Mesquite charcoal emits an intense smoke when first lit, but this dissipates as the fire grows hotter, imparting a uniquely delicious Southwestern flavor to grilled foods. It is pure, natural wood smoke, and the lump charcoal’s high cooking temperature sears the outside of the food while retaining the natural juices, aroma and succulence. Widely regarded as the highest quality grilling charcoal, mesquite wood is a bit denser than oak, and the maximum temperature when burning runs a bit lower than that of oak, at around 890°F (477°C). The bags contains a uniform mix of large, medium and small chunks of charcoal, and a little dust. Mild pleasant mesquite aroma, not overpowering. Over half the bag was large to medium-sized chunks. Mesquite charcoal has a shorter burn time and produces more ash. While Grill Dome’s premium lump charcoal is 100% made in the USA, it is also bought by grill enthusiasts outside the country. Grill Dome is made of 100% natural mixed hardwood without any additives and fillers, so you can enjoy your grill without dangerous chemicals leaching into your food. This lump charcoal lights easily, burns hotter, longer and cleaner than traditional charcoals because the charcoal pieces are larger, making burning last longer. 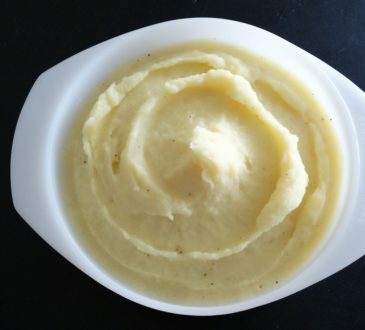 Hence it is great for smoking food and slow cooking, effectively keeping the flavor of your food intact. Because it uses a mix of different kinds of wood, it is ideal for different types of smoked and grilled dishes, without compromising the taste. It leaves a nice smoky flavor to your food without the chemical taste some charcoals impart. It also doesn’t leave too many ashes and small pieces. Gives a bold and crisp flavor to grilled food, which is great especially for chicken or fish. 100% free from tar and other chemicals, and contains only natural wood trimmings. The right mix of big and smaller pieces in each bag. Pricier per pound compared to other brands. Some charcoal chunks are way too big. Only ¼ of the pieces in the bag are large chunks. 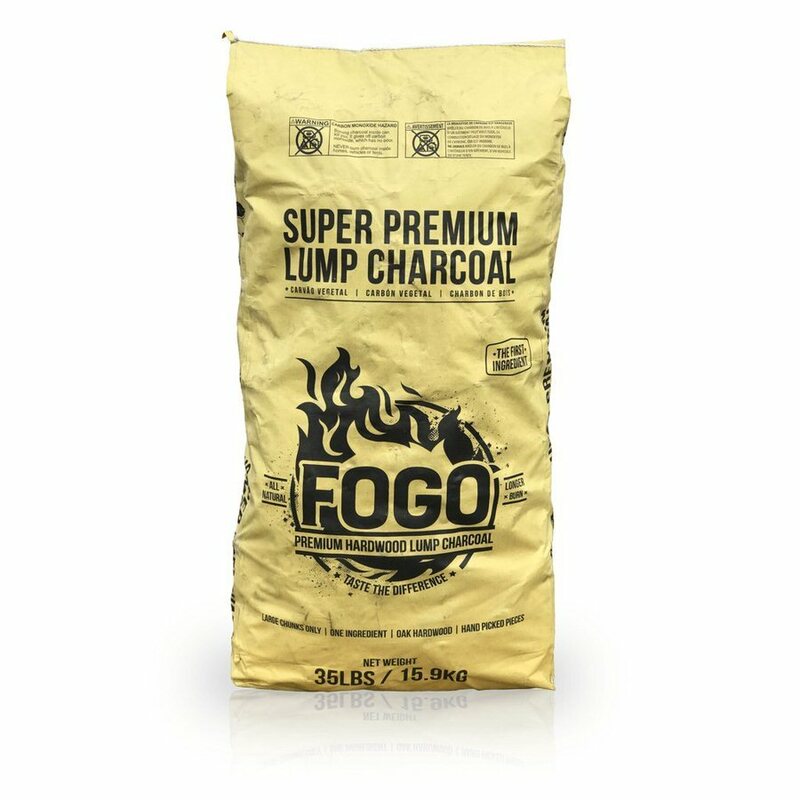 FOGO All Natural Premium Hardwood Lump Charcoal bags contains the largest pieces of lump coal that are hand selected for export. It also contains about 85% medium to large pieces. The larger size makes for longer cooks in any grill or smoker. FOGO contains less than 5% chips and dust, which is very low compared to most brands. This makes it a standard item for many restaurants around the country. This lump charcoal burns at a lower maximum temperature of 859°F (459°C) than other brands but still provides plenty of heat for any grilling purpose. FOGO lump charcoal lights fast and can be ready to grill within 15 minutes. Lighting it up is easy and safe, without the use lighter fluid. As it is dense, has large chunks and burns longer, you are guaranteed the best in long and slow cooking, and natural tasting food. Dense lump charcoal burns longer. Large sized top quality selected chunks. Tends to be inconsistent with some bags having too much dust and small pieces. 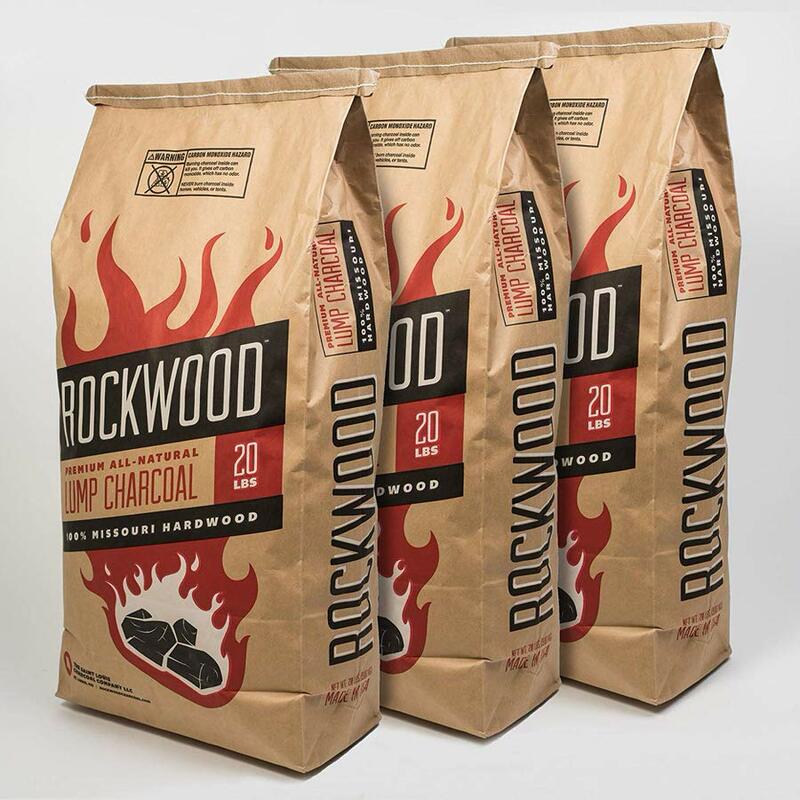 Rockwood Lump Charcoal is a blend of the highest-quality wood sourced from sustainable forests, the premium Missouri hickory, maple, and oak. 100% natural, it does not contain any binders, chemicals or fillers. Rockwood lump charcoal has a very mild wood flavor that does not overpower your food, thus it will work well with poultry and fish. It’s easy to light and ready to go within 15 to 20 minutes. It has a slow burn rate to ensure an even cooking temperature. The distribution of charcoal lump sizes is exceptional with more than half the bag containing medium chunks, and chips and dust falling below 5%. It produces little ash, long burn time, but a bit harder to light than other brands. Uniform size, mostly medium sized pieces. Lighting the coal takes a little longer. Royal Oak is pure, 100% all natural charcoal that burns hot for that great seared-in wood smoke flavor. 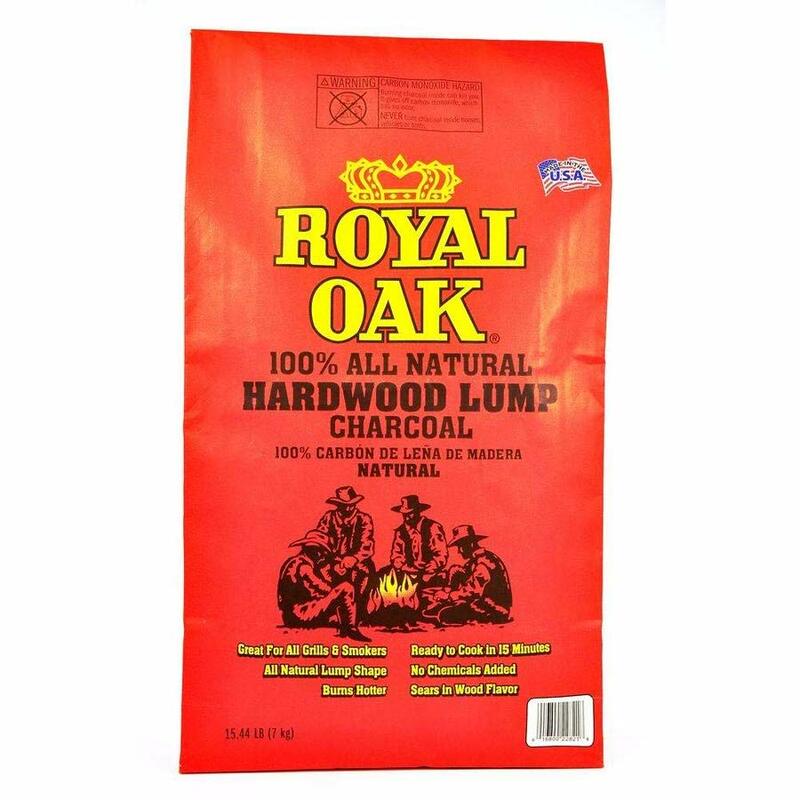 Royal Oak 100% all natural hardwood lump charcoal is great for all grills and smokers. In its natural lump shape, this pure charcoal comes from renewable oak, hickory, maple and walnut hardwoods with no chemicals or additives. It burns hotter and sears meat beautifully, locking in those juicy flavors while producing a great smoky taste. 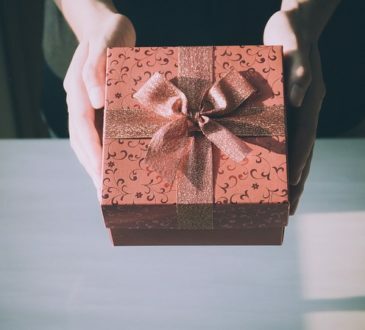 The bag contains very little dust, which is an advantage since the cost is based on the weight. The charcoal pieces are an even mix between small, medium and large. Royal Oak gives hotter and even burning for consistent grilling each time, and the charcoal is ready for grilling and smoking in about 15 minutes. Very low amount of chips and dust, makes it almost 100% useable. 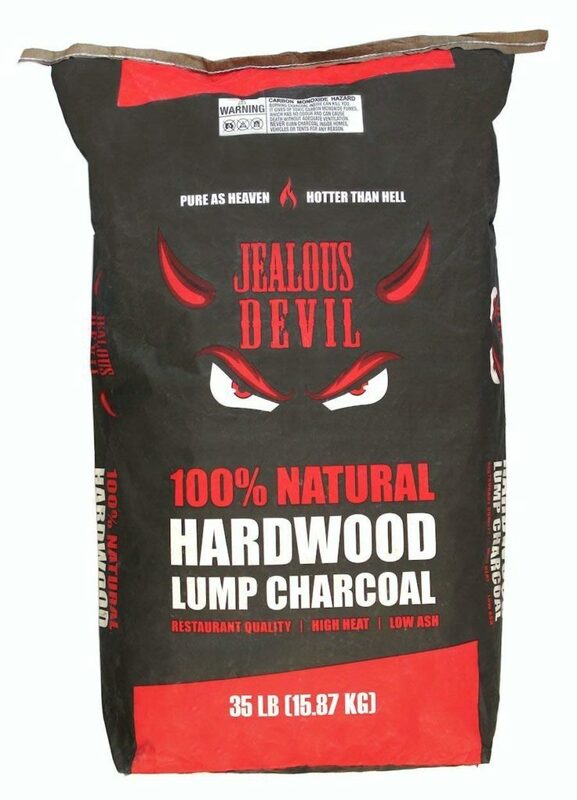 Popularly referred to as the “wicked good” charcoal, the Jealous Devil lump charcoal is an excellent product for smoking and grilling that comes in restaurant quality, meaning you can create amazing food from the comfort of your own home. The premium ingredients from the densest South American Quebracho Blanco ‘axe breaker’ hardwood makes it burn with less smoke, sparks, and produce less ash for easier clean up than your regular charcoal. The bag is made of heavy-duty 3-ply Kraft paper bag that store the charcoal safety do not easily tear apart. In the bag, you’ll find large sizes of lump charcoal and reduced dust, so you have less waste and a better grilling experience. 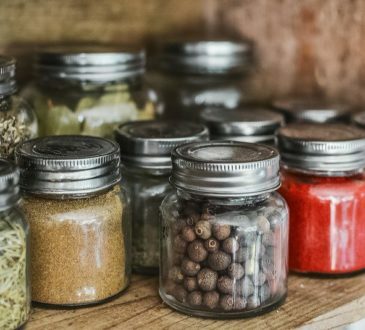 Since its 100% natural, you don’t get chemicals, fillers, or even scrap wood, keeping your food safe. The charcoal can burn over 7000cal/g which is extremely hot. It burns twice as hot and three times longer than traditional charcoal so you get your money’s worth. Some user commented that the charcoal burn longer. They have up to more than three hours of burn time making it a more cost-efficient product. Burns twice as hot and three times as long as traditional charcoal. Lump charcoal sizes are smaller, making it easier to fall through the grill’s charcoal grate. The charcoal is baked in brick ovens so some bags come with brick pieces in them. Original Natural Charcoal is 100% natural hardwood lump charcoal that blends apple, cherry, and oak trees from the Ukraine, sourced in an eco-friendly and sustainable method through pruning existing or downed trees. 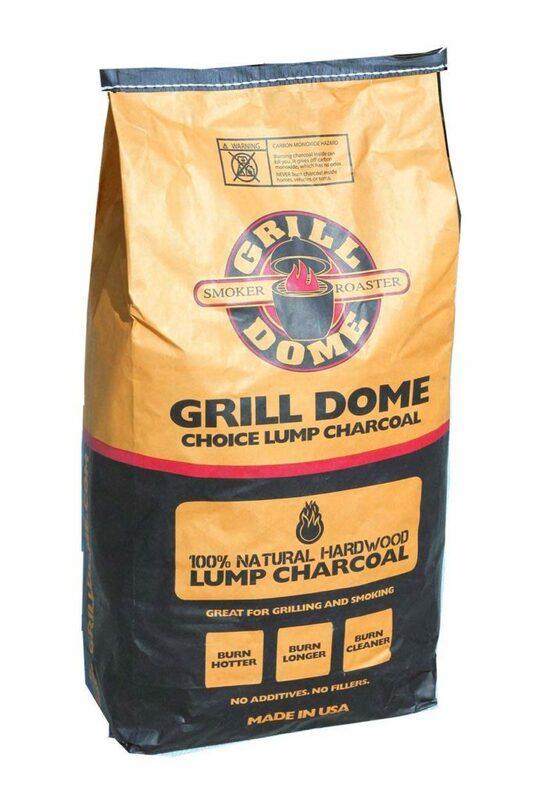 This lump charcoal emits a sweet warm aroma that adds a delicious fruity flavor to the barbecues. It is perfect for beef, poultry, game birds, and pork. The Original Natural charcoal is easy to light up, and is ready to grill in 5 minutes. This lump charcoal produces less smoke, sparks, and produce minimum ash so you grill more safely and cleaner. This charcoal is chef-grade and is made with grilling and barbecuing in mind. The flame from the burning charcoal is hot enough to sear the outside and keep the juiciness of your meat inside. About half of the lump pieces aren’t too big or chunky to use which makes starting the fire easier and the broken pieces are excellent to use as fire sticks, for starting the fire easier. After purchasing and bringing home your lump charcoal for your next barbecue experience, you will need to care for it. Who knew! If it does get wet, spread it out under the sun on a tarpaulin or paper, and let it dry out for a couple of days. If for some reason it gets wet, lay it out on a tarp or paper under the sun to dry for a couple of days. If you enjoy healthy and safe barbecues with hot fires and delicious smoked meats and vegetables, then lump charcoal is your best choice. Lump charcoal will work with any type of grill, light up fast without the need of an unnatural starter fuel, and will even impart a natural flavor based on the type of charcoal you prefer. When making your purchase, don’t forget the consistency in the sizes of charcoal lumps- all these add to your memorable grilling experience. And in staying true to our environment, select charcoal brands that are organic and use sustainable methods of harvesting and production.